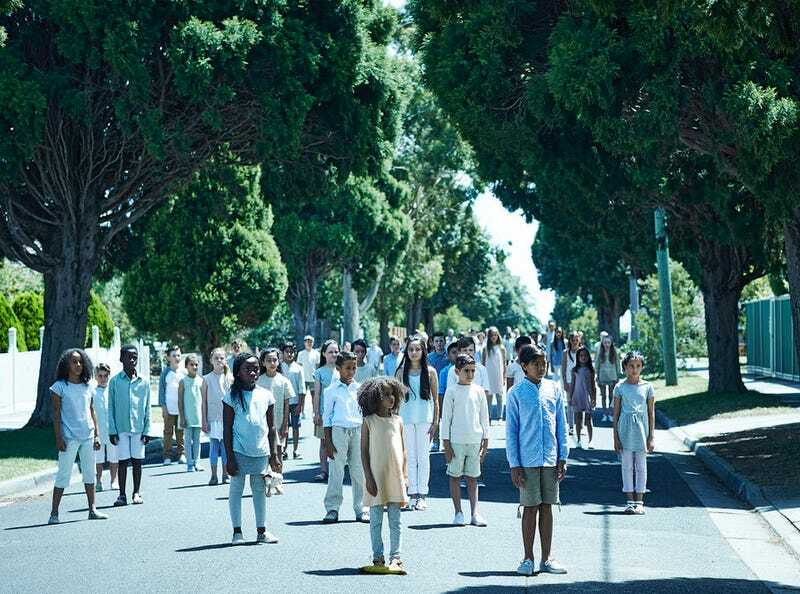 Childhood’s End concluded last night with the most surreal of the series’ three installments, “The Children.” We knew from the start that this utopia thing wasn’t going to end well, thanks to Milo’s this-is-the-end opening speech. But the race to the finish is much worse than what anyone on Earth ever imagined. Kids who were born just before and after the Overlords’ arrival are now toddlers and tweens, and they’ve rapidly evolved. They have enhanced abilities, including telekinesis, and their remarkable minds are all attuned to one focal point: little Jennifer Greggson. Dad Jake and Mom Amy are freaked out by their pigtailed Chosen One, so they pack up and move to New Athens—the only real city left on Earth, and the only place where art and creativity still exist. But a change of scenery doesn’t solve anything, and neither do probing questions from Milo, who has devoted himself to studying how the children have changed. He also hasn’t given up his own boyhood dream of traveling to the Overlords’ home planet—an 80-year journey there and back, he figures. Rachel very reluctantly agrees to help him stow away on an Overlord ship filled with vacuum-packed animals, realizing that he won’t be dissuaded from what he thinks is an Earth-saving quest. Ricky Stormgren turns down Karellen’s offer to spend fever-dream eternity in that luxury hotel room with his spectral first wife; instead, he chooses to succumb to his space crud on his farm, with Ellie by his side. RIP Ricky, you helped mislead everyone. Karellen looms large to reveal the big, fat, ugly truth: hey, utopia’s been rad, but it seems the Overlords have been doing the bidding of an even higher power all this time—and they’ll be plucking every kid from the surface of the planet to complete their mission. Sorry, Moms and Dads! Forty years in the future, Milo arrives on Planet Overlord and learns about the “Overmind,” the entity which has been controlling the Overlords for centuries. Humankind’s children have all been absorbed into the Overmind’s pulsing, disembodied collective consciousness, and when Milo returns to Earth, he finds no life—only emptiness and bones. The Overlords—who aren’t necessarily as evil as their appearance suggests, though their “hey, we’re just following orders” actions might be interpreted as such—offer to let him stay with them, but Milo would rather die as the planet disintegrates than be the only human left. As classical music plays—the sole remnant of human culture the Overlords have agreed to preserve—Earth collapses into itself. “It is done,” Karellen announces, before presumably steering his ship in the direction of whatever unsuspecting world he’ll be sent to “supervise” next.